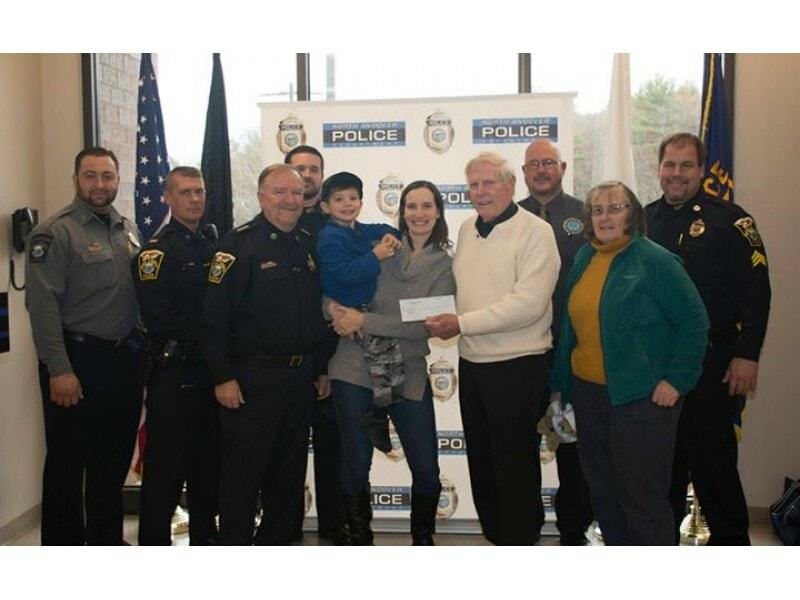 Cops For Kids and local police delivered a $5,000 check to the North Andover family. Photo Credit: North Andover Police Department-Cops For Kids/In photo, back row, officers from North Andover. front row Chief Paul Gallagher, Jackson, Jackson’s mother Nicole, Bob Faherty, and Jackson’s grandmother.